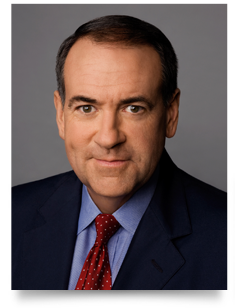 Former Arkansas governor, New York Times bestselling author and commentator, Mike Huckabee, will headline Citizens Memorial Hospital/Citizens Memorial Health Care Foundation’s 14th annual Burgundy Ball. Huckabee will present “Too Funny To Be True, But It Is!” – hilarious stories from politics, the South, and travel. The community appreciation event is scheduled for Saturday, Sept. 16 at 6 p.m., at the University Plaza Convention Center, 333 S. John Q. Hammons Parkway, Springfield. Gov. Huckabee was the host of the number one rated weekend show “HUCKABEE,” on the Fox News channel, from 2008 until 2015. He also hosted “The Huckabee Report” – which was heard three times daily across the nation on almost 600 radio stations from 2009 to 2015 – and is the New York Times bestselling author of 12 books.Governing magazine named him as one of its “Public Officials of the Year” for 2005, and Time magazine honored him as one of the five best governors in America. He has been honored by numerous organizations for his commitment to music education. He served as the chairman of the prestigious National Governors Association as well as the Education Commission of the States, the Southern Governors’ Association, and the Interstate Oil and Gas Commission. For more information about the CMH Burgundy Ball, contact Wren Hall at 417-328-6318 or facebook/CJBCCatCMH.